Felcity Church is an amazing and unique venue. 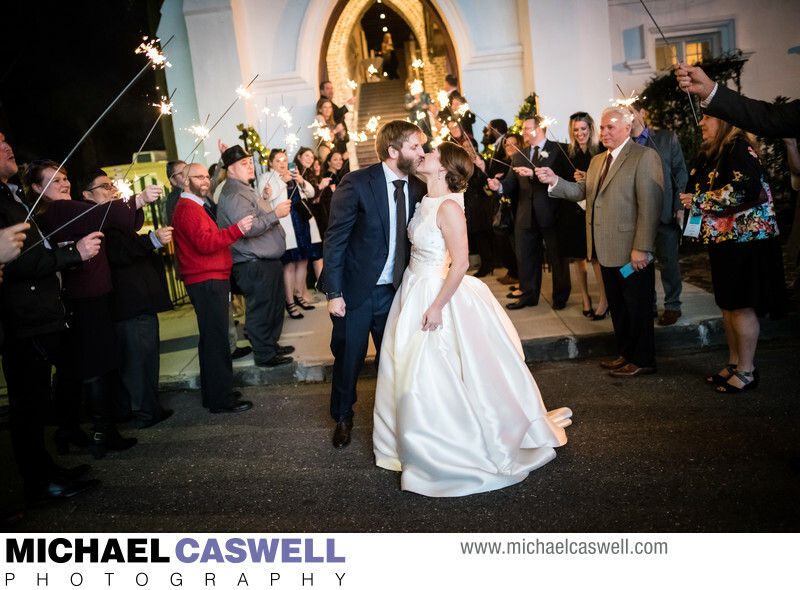 It served the community as a Methodist church for well over a hundred years, and after being damaged in Hurricane Katrina, it was sold and sat in disrepair until the new owners lovingly renovated and restored the historic building to serve as an event venue. As a photographer, I can't help but to absolutely adore the effort that was put into carefully maintaining, preserving, and sealing the old, weathered appearance rather than just slapping a fresh coat of paint on everything. It really gives this venue an amazing appearance that photographs exceptionally well, especially when contrasted with a gorgeous bride and groom. 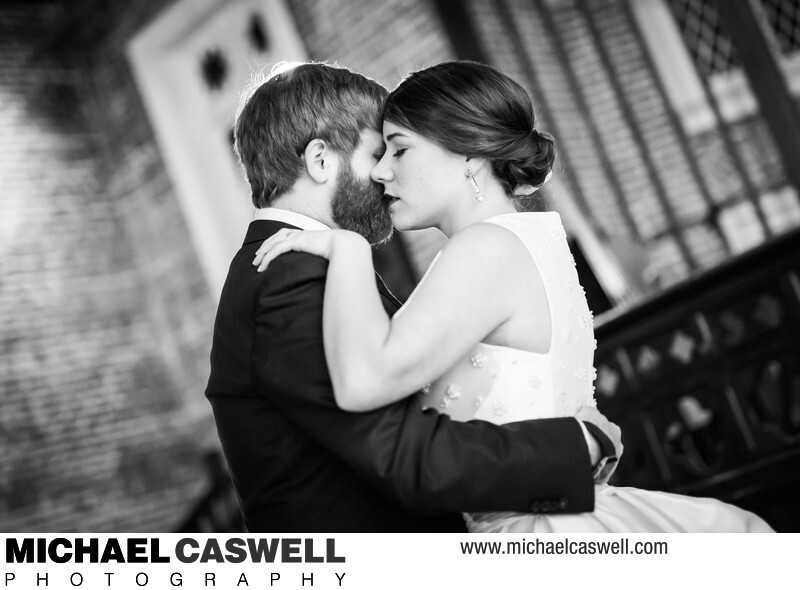 It's a great place for a wedding ceremony and reception, and also is a photographer's dream for bridal and engagement portrait sessions! 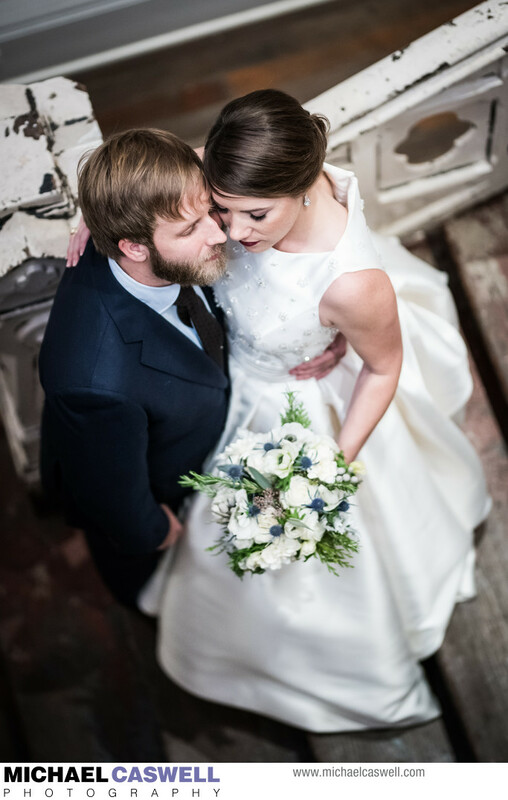 This Austin, Texas couple started out their wedding day coverage at the Pontchartrain Hotel on St. Charles Avenue. They did not want to see each other before the ceremony, but did want to exchange gifts and cards together, so wedding coordinator CJ of Evermore Weddings and I set them up back-to-back in the hotel room so they could not see each other. The ceremony took place at Our Lady of Prompt Succor Church at Ursuline Academy, and then we headed to Felicity Church for the reception, where Oui Do Jazz was on hand for the entertainment. 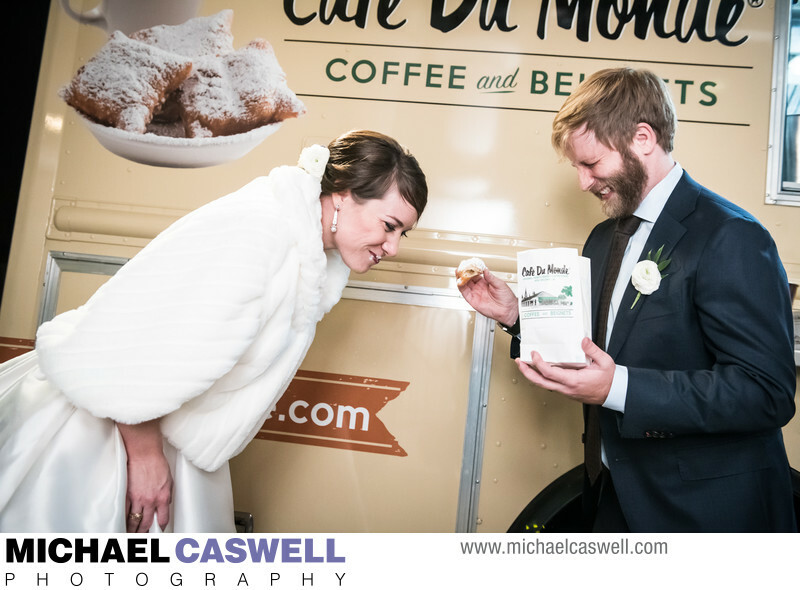 Later in the evening, the Cafe Du Monde food truck showed up to treat all the guests to the world-famous beignets and cafe au lait this New Orleans icon is known for, and then at the end of the night the couple was given a fabulous sparkler send-off!